The industrial giant of Colorado Fuel & Iron was born on January 11, 1872 when General William Palmer, founder of Colorado Springs and owner of the two year-old Denver & Rio Grande Western Railroad, filed incorporation papers. 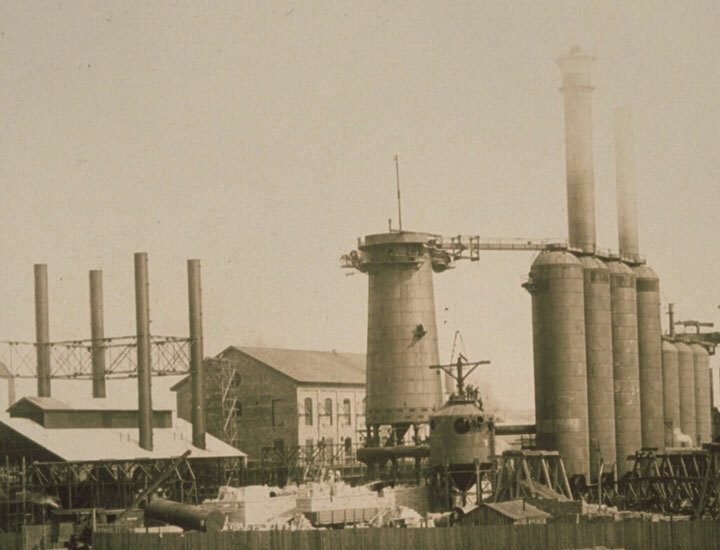 It acquired many iron and coal mines that fed the burgeoning U.S. steel industry. The Bessemer Historical Society was formed in 2000 to save the buildings and archives of CF&I. 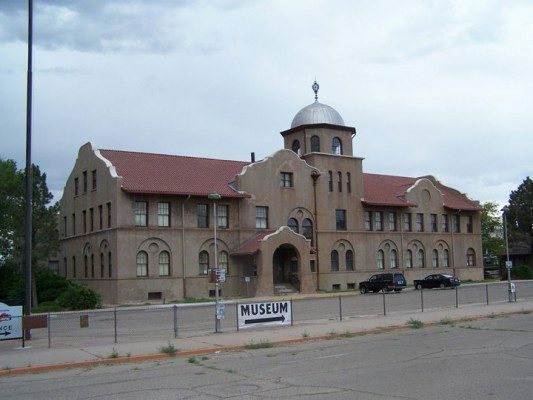 Since then, they acquired the mission style Minnequa Office Complex, consisting of four buildings and nearly six acres, with the hope of future renovation for a museum, archives, and education center. Rocky Mountain Steel Mills donated one of the most complete collections of artifacts representative of the industrialization of the American West. The Bessemer Historical Society received a grant from the National Archives Association to assist with cataloging the massive collection of maps, records, microfilm, negatives, and photographs with a professional archivist overseeing the process. The Bessemer Historical Society has opened the Steel Works Museum of Industry and Culture in the Medical Dispensary. The exterior of the Administration Building is in the process of being restored to its original grandeur while the interior will be restored to the 1940s and be used as additional museum space. The Bessermer Historical Society embarked on a fundraising campaign to ensure that the historic archives and buildings were preserved. By 2003, they had received grants and monetary support from numerous donors, the State Historical Fund, the National Trust for Historic Preservation, New Market Tax Credits, and a Save America’s Treasure’s grant. Archival processing has been possible through a “We the People” National Endowment for the Humanities grant. The Mine Rescue Car #1, which is on the National Register, was fully restored and donated to the Museum in February 2007 by the Pueblo County Historical Society. 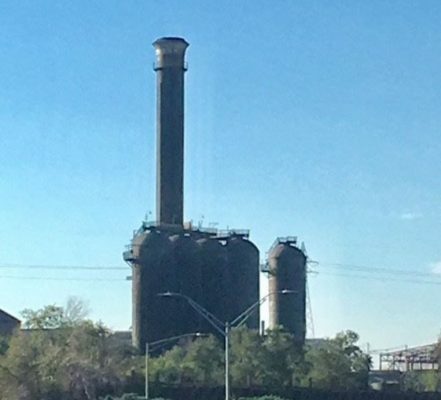 The museum property is progressing forward towards a save but the plant remains threatened due to CDOT expansion plans. The site needs continued monitoring and section 106 participation. The Council of Development Finance Agencies (CDFA) has issued a report entitled the Roadmap to Redevelopment to assist the Bessemer Historical Society, doing business as Steelworks Center of the West with efforts to preserve and rehabilitate the historic hospital, infirmary, and office buildings that served CF&I. Steelworks is planning a $12 million renovation of the former administrative building into a multi use space for the museum’s expansion. The Steelworks property is located adjacent to a Superfund site whose boundaries are yet to be determined. The purpose of the CDFA Roadmap to Redevelopment report was to provide a framework for the financing of the cleanup and redevelopment of the former Colorado Fuel and Iron Company administrative building. The Roadmap to Redevelopment report was developed through a two-day process that included interviews with numerous stakeholders from the government, business, and non-profit sectors. CPI participated in the two-day process by providing information on historic preservation incentives, financing, and technical assistance in Colorado through our Endangered Places and Preservation Services program. Visit the Colorado Fuel & Iron Museum Today!